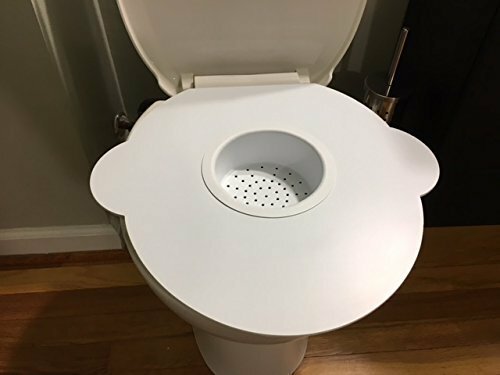 Let me begin by saying that Kitty’s Loo Cat Toilet Training Kit/Seat is hands down the best in the market cat toilet training seat in the market. 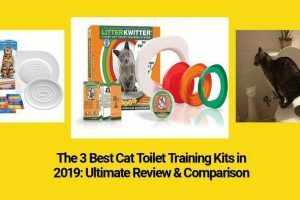 In this review, I will share with you why I think the Kitty’s Loo Cat Toilet Training Kit is the best toilet training kit out there for cats, considering that most of them function and perform almost exactly the same way. Also, I will sharing why I think most cat owners fail in toilet training their feline family members as well as how to simply correct it with a little attitude adjustment and how Kitty’s Loo Cat Toilet Training Kit helps reduce this problem and that is quite possibly the biggest contributor to their being successful and why that makes them the best in the market in my opinion. Aside from the good side of the Kitty’s Loo Training Seat, we will also share with you the negative experiences that we and other users have had with the system for a balance and equal review. 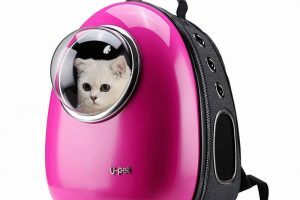 First of all the Kitty’s Loo is not just any cat toilet training kit, the makers describe it as a cat toilet training “seat”. And indeed it is a bit different from all the past best performing cat toilet training system that we have encountered or have used or seen in the past. It is described as the puurrfect training seat in the market. 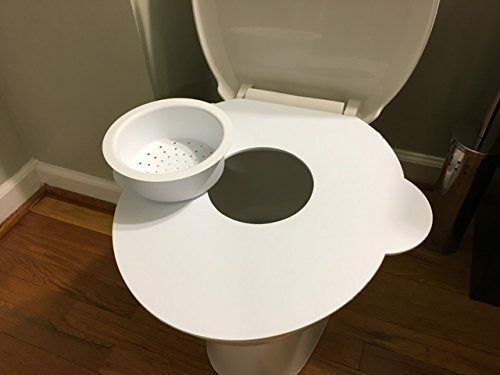 Instead of a simple kit that just fits around the seat of your toilet, the Kitty’s Loo Training Kit is a seat that covers the whole of the bowl. 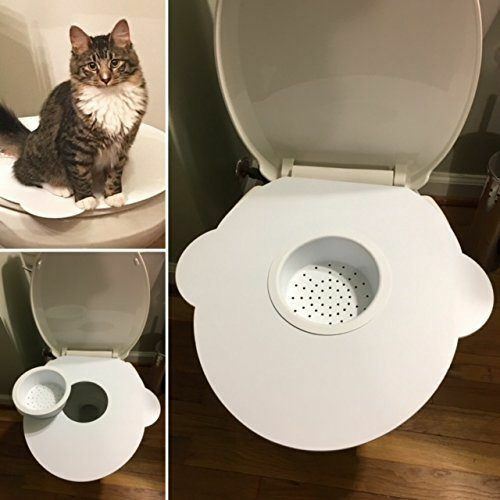 It mimics the toilet seat of humans, but it has a special hole for the cat to poop and pee in. The Kitty’s Loo Training Seat is made of hard ABS plastic, designed to carry the weight of even bigger cats. It has a platform seat and a litter bowl designed to reduce the amount of tracking. The great thing about the litter bowl is that it can hold even kittens and protects them from falling through the hole. 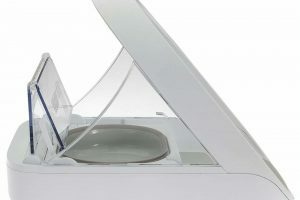 The Kitty’s Loo Training Seat is also designed to fit all types of toilet, the round, oblong and even the square ones designed for floor installations. 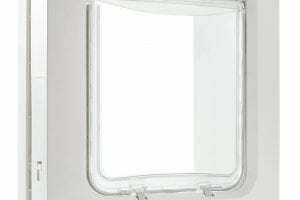 It comes in at 15 ½ inches in width, 2 inches high and approximately 17 inches long. Because it is made out of heavy duty ABS plastic, it is a little bit on the heavy side for a cat toilet training seat, at more or less 1.5 pounds. How do you use the Kitty’s Loo training kit? As much as possible, we want to start them young with the Kitty’s Loo Training Seat so the moment they can climb up the toilet, they would already know how to use it. We can do this by placing the entire, actual Kitty’s Loo Training Seat on top of a basin or a box and using it as a litter box for your cats. If you have a juvenile or a full grown cat, and you are using a litter box, place the Kitty’s Loo Training Seat beside their old litter box. Let the cats use the old litter box but do not clean it. Also, don’t forget to add a small amount of catnip to the litter that you will put inside the Kitty’s Loo Training Seat. Once your cat starts transitioning and using the Kitty’s Loo Training Seat, removed the old litter box. Move the Kitty’s Loo Training Seat to the toilet bowl and observe your cats, they should have fully transitioned right now and will start using it. Flush whenever necessary. Monitor for “accidents” and make sure to take advantage of the reward system. Reward your kitty if he makes a clean poop or pee or both, and add a whole lot of encouragement. Make sure your cat understands that this is what you expect him to do so he should do it. Like what I have said above, I will share with you the reason why I think 50% of the time people fail in their experience and use of the Kitty’s Loo Training Seat. In the process of this review, we have considered all the things that we have gone through with the Kitty’s Loo Training Seat and we have also looked at comments and review of the people on websites like Amazon, YouTube and cat related or pet related review websites out there and we contrast and compare that with ours. 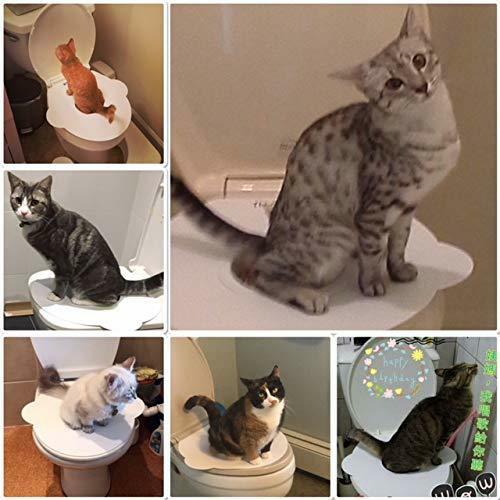 One of the main reason that we have found and we believe is the reason why people and their cats fail with the Kitty’s Loo Training Seat, they give up easily. Like I said at the top, the Kitty’s Loo Training Seat is a “training seat” which means that we have to train our cats. In a way, this is a sort of behavioral deconstruction, where we override our cat’s natural tendency to move stomach bowels and waste on the ground and in the dirt and covering it up. 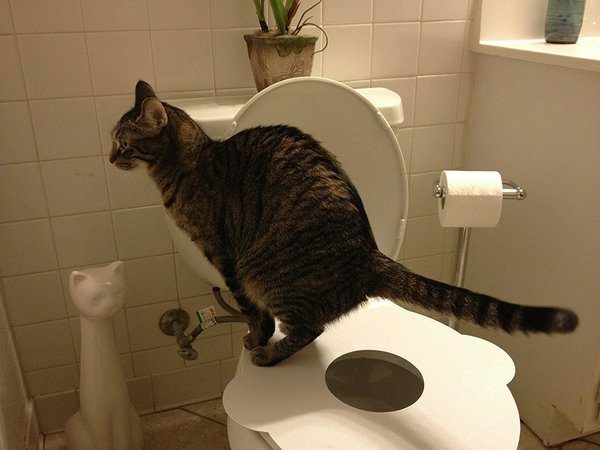 You see, those are natural instincts for our cats to cover their poo and spread around their pee. After all, they are hunters and survivors out there in the wild before we domesticated them. Covering their poo means covering their scent making them harder to track, follow and hunt. Spreading their pee is like leaving their scent or marking their territory, when we try to cover those natural tendencies up with a new behavior understandably that would cause stress and issues with your cats making them have “accidents” and sometimes even if they are willing to transition, they can always make it on the first go. Lucky for us, the Kitty’s Loo Training Seat makes it easier for them to transition by providing them a hole and a litter cup that they are accustomed to but at the same time, removes tracking and later on removes the use of litters altogether. But as I said, Kitty’s Loo Training Seat is just 50% of the problem, we still need 50% of combined effort from our cat and ourselves as cat parents to push and encourage them into the proper direction. I saw a video on YouTube where one cat parent installed a bell in the door of their toilet room, the moment their cat comes into the room they would follow it and see if he would use the Kitty’s Loo Training Seat properly and if he does, the deed is reinforced with a treat and an encouraging cuddle, if not, it gets a stern but calculated reprimand and they had their cat toilet trained in less than two months. If you live in a multi-cat household, the problem sometimes also become multi-layered, because some cats can be a bit finicky, the challenge for cat owners and cat parents is to be extra patient and get to know your cats more, and no matter what you do, do not give up. Just because you have read somewhere that their cat was able to transition in just three months, and you are now on your fourth or fifth month with little to no success, that does not necessarily mean that your cat will not adapt to it, you just have to be a bit more patient. Try and go to online shops selling the Kitty’s Loo Training Seat or any other cat toilet training kits or systems out there, look at the people who had no success with the system, their reviews would betray the fact that they gave up on their cats and feline family and not necessarily a failure of the Kitty’s Loo Training Seat or any other cat toilet training system out there. 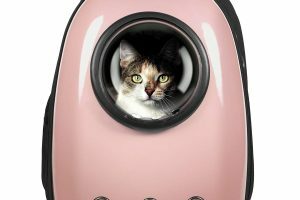 READ ALSO: Breeze Litter Box System Review: Does Your Cat Deserve It? The good about the Kitty’s Loo Training Seat is highly evident. It is simple and effective. It is simple in the sense that when we train our cats to use it, the process is really simple but can be a bit tedious or might need more patience than what is expected depending on how our cat’s response and their attitude. It is effective because once the cats transition to it, we say goodbye to all the messy litter in the house and the dirty smell of cat poop and cat urine in the air, we also say goodbye to all the hard and unpleasant work of cleaning cat litter boxes because let us admit it, nobody likes the smell of cat poop much more dealing with the litter boxes. There’s something to say also about the rewarding feeling that you get whenever you see your cat pooping and peeing in the toilet, you just feel so proud about the whole deal that you start to feel like a parent who just wants to brag about your toilet trained son or daughter. The biggest setback for the Kitty’s Loo Training Seat for me is us as the owners as much as the system itself. 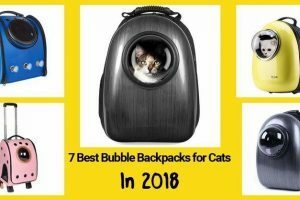 As I said, a big part of the possible success and failure of the product and our cats as a whole largely depends on us and I do not think that most people would have the patience and perseverance to see the whole training through. 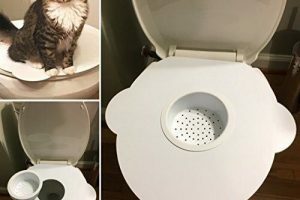 The outcome is just something that is so magical and the marketing surrounding it has been nothing short of amazing that cat owners and cat parents who have little patience or those that do not know their pets that well would understandably get upset easily if they do not see instant results with the Kitty’s Loo Training Seat. What bad can I say about it? The worst is that that it will not work for some users the same way it did for some? But then again as I said, that could be attributed largely to the tandem work of the cat parent and the cat themselves. And if that is the question, between those two, the cat parent or owner gets the larger part of the blame. If we do have to nitpick though, I saw a case once where the cat fell into the Kitty’s Loo Training Seat hole, this was later on when the litter box was already taken out, it was not anything serious and more like a freak accident but I imagine something like that could traumatize our feline family members to the point that you have to reintroduce the whole Kitty’s Loo Training Seat experience again just to get him toilet trained again. In fact, I encourage everyone to consider toilet training their cats, the reduced cost in litter and litter box maintenance, a better smelling house or room, the absence of tracked litter and the sheer amazement of seeing your cat pee and poop on the toilet are small wonders that are welcome to any cat-loving or cat-owning household. If you think about it, why even bother litter box training our cats when we can spend that same energy and focus on them to be toilet trained? It is basically the same training, but it is just something that we are not accustomed to. But the benefits far outweigh the litter box training and we get the better, if not the best result when using the Kitty’s Loo Training Seat.